To give reason for this thread ... I go to the flight site with a bag full of LiPo's .... I plug in and fire up motor - to find the RPM falling off quickly. Battery is not good for flight but can be used for bench ... I usually carry a red marker and I put a large X in red on it. 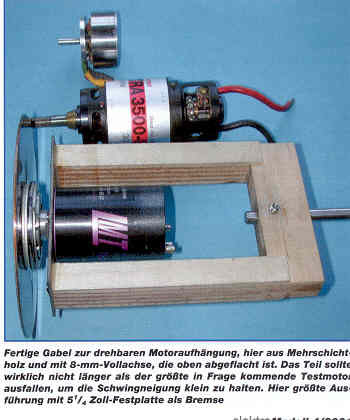 I'm wondering if I could take an average motor capable of 2S ... 4S ... and create a bench tester that will load a battery and tell me its 'crap' or not. It would mean having a load on the motor to replicate a prop .... adjustable if possible so the motor / load can be used for various size LiPo. Block of wood with a 2842 motor bolted to it. Below the shaft a small block with a round nylon clamp screwed to it. This clamp sits with shaft passing through it. Tightening the screw of the clamp adjusts the friction and load applied to the shaft. On end of shaft - a flat disc with reflective patch for a Tacho to read RPM. Wattmeter and Servo tester to control throttle from ESC / LiPo combo. Over to you guys ... any simple mechanical setup that even I could put together ? With my Frsky Taranis and an SP-40A sensor on board I get real time voltage and amps. I can log the telemetry in the transmitter for later playback. Under $20, only 17g and you can move it from plane to plane. The calculator you describe is eCalc. You can try out the full version for a month for $1, it's like $6 year. It's good. I punched in the numbers for a couple existing planes and the predicted performance was pretty close so I've had a yearly subscription for the past few years. They've added a "Setup Finder" where you punch in aircraft, battery, max prop size and it will spit out combinations that will fulfill the desired performance you entered. What you really want to know is how much voltage sag you get a full throttle, right? Why not just test the batteries with the watt meter in the plane they are meant for? You could set up a test stand with a motor and a prop. You'd probably have to change props to match your battery voltage (ie use a different prop for testing 2S vs 4S) but I think it would still help you separate the good batteries from the weak. See above post and log it on your Taranis. Set up some standard protocol, test all the batteries and compare the logs. My quest is not for 'on-board' results - but long before that. I have about 50 LiPo's and charging up ... getting to field and find a number are just not up to the job is annoying. I have tried the Internal Resistance route .. but found that is no g'tee of what you get at the field. I have Wattmeter and can run up a model - but after all the dust and crap settles in the room - I'm not sure that's how I want to do it !! Ever seen what a 70mm EDF at full chat can do to a workshop ? The idea is to have a box that I can plug Wattmeter and LiPo to ... turn the dial and get a decent idea of batterys condition to fly. 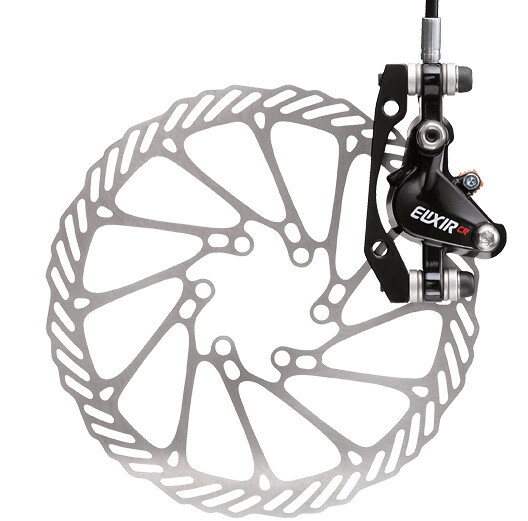 How about using bicycle disc brake parts? Mount the disc to the motor and have some type of threaded mechanism to pull the cable to adjust the tension. I'm not sure we'll ever see a one size fits all test method. Too many companies are making too much money on garbage test equipment and the battery companies are making money hand over fist with deceptive "C" rating claims. Thunder Power USED to be the pinnacle of LiPo suppliers. Not anymore. Lately they've proven themselves to be at or even below the worst of the worst. The best money I ever spent was for the Wayne Giles ESR meter. It's not cheap but you really do get what you pay for.... The 6 supposed "70C" Thunder Power packs I bought a few years back tested no better than 23C after 3 charge/discharge cycles. I still have 2 TP packs sealed in the unopened packaging. They'll likely be used as bench pack. I have zero faith in them. The best packs I have are very old Gens Ace 25C rated that still test at 25-27C! Absolutely NO OTHER packs I own test higher than 23C regardless the inflated claims of the pack seller! Last week I cobbled together a test stand from parts I had lying around. It's far from complete but it has a Spektrum RX, EagleTree eLogger and LCD meter. I still need to add a few EagleTree test options. I mounted it on wheels so I could attach my digital fish scale to get a kinda/sorta thrust number for prop testing. The motor mount is drilled for 22mm and 30mm motors. So many things going on right now. I hope to get back to the project soon. It won't work for everyone but it'll help me get real world numbers for the batteries/motors/props/ESC's that I have. Parallel incandescent lamps. Each with own on/off switch for variable load. No Load Walll Charger voltage is Not Correct right?